A 2008 Senate report revealed an annual revenue loss of $100 billion attributable to the use of undisclosed offshore bank accounts by U.S. taxpayers for purposes of evading U.S. taxes. That same year, the Tax Division of the U.S. Department of Justice (“DOJ”) launched an aggressive enforcement campaign to combat the use of foreign accounts to evade U.S. taxes and reporting requirements. Since 2008, the DOJ has prosecuted numerous holders of undisclosed foreign bank accounts, as well as foreign persons who encouraged and assisted such U.S. account holders in establishing and maintaining such accounts for purposes of evading their U.S. tax obligations. In 2009, and as amended in 2011, 2012, and 2014, an Offshore Voluntary Disclosure Program (“OVDP”) was implemented by the IRS to encourage U.S. taxpayers to disclose the existence of their offshore accounts in exchange for a substantially diminished likelihood of criminal prosecution – NOT unequivocal immunity – and the application of a relatively ‘taxpayer-friendly’ penalty regime when compared to the penalty regime applicable to taxpayers who are detected on IRS audit or otherwise ‘outside’ the OVDP. Impetus to participate in the OVDP increased in August of 2013 when the DOJ announced the Swiss Bank Program (“SBP”), pursuant to which Swiss banks, in exchange for non-prosecution agreements, came forward and admitted to helping U.S. taxpayers conceal foreign bank accounts, and disclosed the names of thousands of U.S. account holders to the DOJ. In October of 2015, the IRS revealed there had been more than 54,000 voluntary disclosure under the OVDP, which resulted in the collection of greater than $8 billion in taxes, penalties, and interest. The DOJ has since expanded its offshore enforcement initiative well beyond Switzerland, moving into many different jurisdictions including, but not limited to, Belize, the British Virgin Islands, the Cayman Islands, the Cook Islands, India, Israel, Liechtenstein, Luxembourg, the Marshall Islands and Panama. Taxpayers desiring to participate in the OVDP are first required to complete preliminary forms disclosing information pertaining to their undisclosed offshore bank accounts. Based on that information, the IRS Crimi9nal Investigation Division (“CID”) determines whether the taxpayers is already under IRS audit or being investigated by the DOJ in connection with one or more undisclosed offshore accounts. If the answer is yes, then the taxpayer is not allowed to participate d in the OVDP. If the answer is no, then the taxpayers is preliminarily cleared into the OVDP pending the provision of additional and more detailed account information. After CID receives the second submission of required information from the taxpayer and formally clears the taxpayer to participate in the OVDP, the bulk of the account and other required financial information is submitted to the IRS and forwarded to a central location where it is processed and analyzed by a special IRS OVDP division. All required payments under the OVDP are made contemporaneously with this final “bulk” submission. In addition to back taxes, civil penalties, and interest, participating taxpayers are subjected to an “Offshore Penalty” for failing to file a “Report of Foreign Bank and Financial Accounts” (“FBAR”) with the U.S. Government. The Offshore Penalty under the current version of the OVDP is generally 27.5% of the highest aggregate account balance of the undisclosed offshore bank account during the eight-year OVDP ‘covered period.’ In situations where one or more of the OVDP participant’s undisclosed offshore bank accounts are held by a financial intuition on the Treasury’s “BlackList”, i.e., a list of institutions whose personnel were found to have actively aided and abetted U.S. taxpayers in establishing such accounts, the Offshore Penalty is increased to 50% of the highest aggregate account balance. If a taxpayer’s non-compliance were discovered by the IRS ‘outside’ the OVDP, several additional penalties could apply such as the civil fraud penalty (75% of the unpaid tax), the FBAR penalty (can be as high as the greater of $100,000 or fifty percent (50%) of the total balance of the foreign bank account per violation), and penalties for failure to file certain information returns, e.g., Form 5471, Form 8938, Form 3520, Form 3520-A, etc. (generally $10,000 per year each). A willful failure to file an FBAR can also result in criminal prosecution; that is, a person who willfully fails to file an FBAR is subject to up to five years in prison and/or a maximum fine of $250,000. 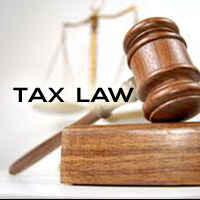 In all cases, each failure to file for a particular tax year is a separate violation. In addition to the DOJ’s offshore enforcement initiatives, the U.S. Treasury has recently entered into a series of bi-lateral ‘intergovernmental agreements’ (“IGAs”)with a legion of countries under which the party countries have agreed to share information concerning holders of bank accounts on their respective soil that are citizens or tax residents of the other party. The rollout of the information exchanges under many of these IGAs is imminent. Last year the DOJ hired more than 80 new attorneys, and has developed and implemented an international enforcement training series to ensure their attorneys are conversant with offshore enforcement practices and procedures. The takeaway from all of this for U.S. taxpayers holding undisclosed offshore bank accounts is that there is simply nowhere to hide anymore. You will eventually get caught! The failure to take advantage of the relative safe harbor of the OVDP prior to detection by the IRS and/or the DOJ is likely to result in criminal prosecution and/or financial ruin. Local government decisions and actions generally impact citizens most directly in our day to day lives. 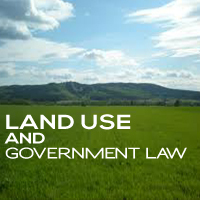 Frequently a local government board or council will meet every other week and, when they do, they take up matters ranging from land use decisions, to ordinances or local laws, to contracts with solid waste vendors and other public contractors. Citizen participation in the process, by attending meetings, speaking at meetings, and offering input and solutions, is a critical component of an effectively functioning local government. But such interaction on the part of elected officials and citizens must be civil in order for the interaction to be fair and productive. Each May, the City, County and Local Government Law Section of the Florida Bar asks all local governments in Florida to adopt a pledge of civility for the elected officials and citizens. Civility is important in government because, without it, we witness the democratic process becoming mired down in anger, rudeness, ridicule, impatience, and disrespect. Behavior that is not civil detracts from the open exchange of ideas and may discourage people from participating in the governmental process at all. Citizen behavior is an important component of civility but the significance of an effective presiding official in maintaining a civil and orderly process cannot be understated. Citizens should bear in mind that all comment should be directed to the presiding official and observers should refrain from applause, catcalls, or other disruptive outbursts during public meetings. To that end, conveyance of a different opinion or position on an issue can be very productive to the democratic process when expressed in a persuasive and cogent manner that is heard by a respectful audience. A recent change to Florida’s Sunshine Law ensures that citizens have the right to be heard at public meetings; however, this right to be heard may be limited in time so citizens should be prepared to make the most efficient and productive use of the time they are given to speak by organizing their thoughts and avoiding repetitious comments. Over the past four years the IRS has blocked more than 19 million suspicious tax returns from being processed. Unfortunately, not all of the fraudulent returns filed under taxpayer’s stolen tax identification numbers have been blocked and, last year alone, 1400 criminals were prosecuted for receiving funds by filing fabricated returns and refund claims. The IRS has been aggressively pursuing these individuals and informing the public of the risk to it of these false returns. Not only does it impact the individual whose return is involved, but it hurts all taxpayers because the government is losing money when it pays these false refunds. Don’t carry your Social Security card or papers bearing your SSN on them. Don’t provide a business your SSN just because they ask. Take steps to protect your financial information at home and on your computers. Check your credit report at least annually. Don’t give personal information over the phone, through the mail or the internet unless you initiated the contact and you know for sure who is asking for it. Note the IRS does not contact taxpayers by email, text messages or social media channels to request this type of information. For further information, please see the above Publication or visit www.irs.gov/identitytheft and the FTC’s www.identitytheft.gov. The government has just announced another resource to help protect your identity. Please visit: Taxes. Security. Together. In an ever evolving environment of professional liability, some recent conversations with tax preparers have raised the question of what is the duty of a tax preparer in discussing with spouses the pros and cons of filing jointly or separately. Historically, a brief statement to the taxpayers that the tax will be lower if you file jointly was all that was stated and usually proved to be all that they wanted to know. However, things have changed. The legal definition of spouse has recently changed in light of court rulings saying that gay marriage is legal. Also, more and more women work and many are professionals or have their own businesses and assets. These may generate income and losses. They may also generate non-dischargeable trust fund penalties for non-payment of withholding tax that, in addition to any income tax liabilities, will create liens resulting in any tax refunds being seized by the IRS and encumbering those separately held assets. Many individuals are coming forward to disclose foreign bank accounts and foreign assets that generate income tax issues and other significant penalties for not filing a host of different information returns related to those foreign assets. Frequently, only one spouse owns the account, but the other may be aware of it. Sometimes the other spouse is in the dark. The tradeoff for filing jointly and receiving a lower tax bill is that, if any adjustments are made by the IRS or if the tax is not paid, then both spouses are liable. While there are innocent spouse and separation of liability provisions available in post filing proceedings, the former requires lack of knowledge and no benefit from any unreported income, while the latter requires some disintegration of the spousal relationship, whether divorce, legal separation and or physical separation of the parties. They also require time and, frequently, money for professional assistance. While the IRS has greatly expanded these relief provisions, there is no guarantee they will succeed in a given fact situation. In this environment, some practitioners are suggesting that more than just a passing statement that you will save by filing jointly is required. Their recommendations? Prepare both separate and joint returns. Then meet with the taxpayers and explain the differences between and the consequences of the two returns. Explain that if a joint return is filed, both will be liable to pay the amount on the return, but, just as importantly, any future additions in taxes, penalties, and interest due. These may come from places not contemplated by either the taxpayers or the preparer at the time of preparation of a return. Definitely, food for thought. In a recent statement, the IRS advises that over 4000 people have been cheated to the tune of 20 million dollars by various tax schemes currently in vogue. These scammers operate by scaring people into believing that they must act immediately to avoid arrest, deportation and other frightening consequences unless they send money immediately. They even have the ability to cause your call scanner to reflect that the call is from the IRS. They also use official looking letters and emails. Demand payment immediately over the phone in a first contact initiated by them. They would first send you a bill. Threaten to have local police arrest you for not paying them. Demand payment without providing an opportunity to challenge the amount claimed. 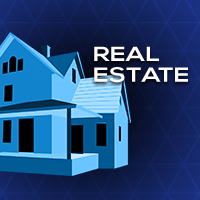 (However, be aware that if you move and don’t notify the IRS of your new address, that notice may never reach you). Specify that payment must be by credit card or debit card. Ask for credit card or debit card information over the phone. If you have been targeted by a scammer, call the IRS. If you owe taxes, call 1-800- 829-1040. If you don’t owe taxes, call 1-800-366-4484. Remember not to panic. If you receive a call and don’t know what to do, think about these warnings and seek help.